It’s a Good Week: Game Featured in Upcoming Book and Godzilla Contract Signed! 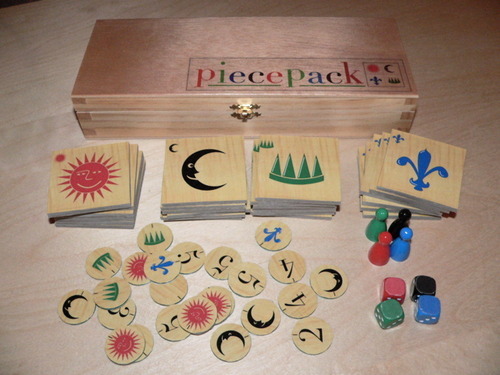 Just got an email from Eric W Martin that he would like to include a game that I designed – along with friend, Don Kirkby, in an upcoming book and game package that he’s producing on a game system called the Piecepack. What the heck is Piecepack? Well, it’s an open source game system designed by James Kyle that allows people to make their own games using a specific set of components. Hundreds of games have been designed using this system and now Eric W Martin is writing a book about it – and including numerous amazing games that demonstrate its versatility and unique-ness! The game Don and I created is called Cream of the Crop – which can be found for free here on this site! It’s a clever game that I’m happy will get played by more people! In other news, Sen and I have received our contracts back from Toy Vault! We are now contractually obligated to make a Godzilla game! How cool is that? This is our first game that we’ve been asked to make by a publisher – and our first time working with an IP! We’re pretty stoked. We already have the core system working, but now it will undergo a million and one play tests and tweaks! Stay tuned for more info on both of these projects as we develop them further! This entry was posted in Steps: Board Game and tagged contract, cream of the crop, don kirkby, eric w martin, godzilla, james kyle, piecepack, toy vault by designerjay. Bookmark the permalink. I'm one half of a board game design team. We've designed over a dozen different, publisher-ready games with a few coming to market soon. Congrats guys! Can’t wait to see what you do with Godzilla? So much you could do with it. I mean, it could be a cooperative game trying to stop Godzilla, that would be so different from the current theme of being the monster on the rampage. But man, that would be no easy task.